Oxford University, Dipl. Leg. Stud. Marc’s practice focuses primarily on mining, private equity, U.S. and cross-border mergers and acquisitions and other transactional representations. 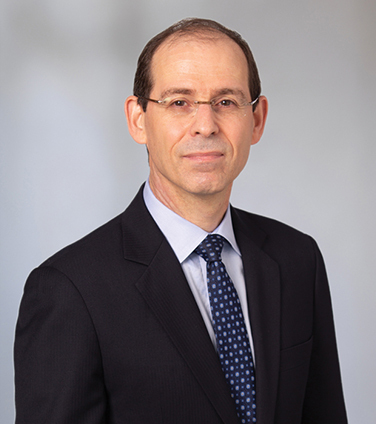 Prior to joining Osler, Marc practised for many years at a major Wall Street law firm, where he regularly advised private equity and corporate clients on U.S. and international mergers, acquisitions, divestitures, joint ventures, leveraged buyouts, minority investments, recapitalizations and other corporate and securities law matters, including corporate governance and SEC compliance and reporting requirements. EdgeStone Capital Partners in its $98 million sale of Custom Direct Inc.
IFLR 1000: The Guide to the World’s Leading Financial Law Firms, 2018-2019: Notable Practitioner, M&A; Private Equity. Lawyers Alliance for New York: Cornerstone Award 2018. Ride the wave: why Canadian dealmakers should take a look at R&W insurance, Osler Resources, September 2018. "Private M&A transactions: Five cross-border indemnification tips dealmakers need to know", Update: May 23, 2017. A practical guide to representations and warranties insurance, Osler Resources, June 2016. Acquisitions of Private Canadian Businesses, Practical Law: The Journal, July/August 2010 (co-authored with Terrence R. Burgoyne and John W. Groenewegen). Best Practices in Mineral Reserve and Resource Estimate Reporting for Dual-Listed Canadian Mining Companies, Osler Mining Review, Feb, 2010 (co-authored with Kevin Cramer). Insider Trading and Confidentiality Agreements Following the U.S. District Court’s Decision in SEC v. Cuban, Osler Update: July 29, 2009. Changes to Shareholder Proxy Access and Director Indemnification Under Delaware Corporate Law, Osler Corporate Review, June 2009. Final Regulations in Effect for National Security Review of Foreign Acquisitions of U.S. Businesses, Osler Update, Jan 21, 2009. Broader Range of Foreign Investors and Transactions Subject to Scrutiny Under Proposed U.S. Regulations, Osler Update: May 30, 2008. New Canadian Takeover Bid Regime Converges with U.S. Tender Offer Rules, Osler Update, May 2008.